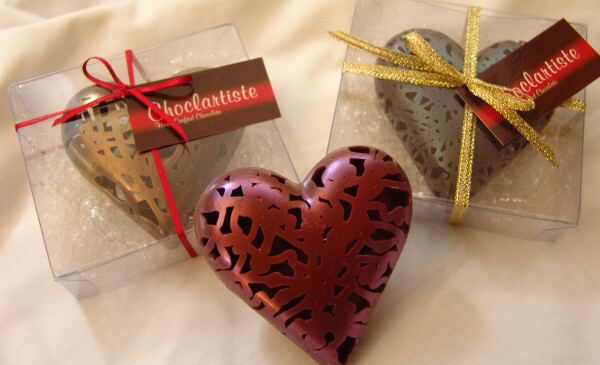 You are most welcome to visit the Choclartiste Studio open for direct sales each Thursday from 10am – 5:30pm and Saturday 10 am – 2pm. 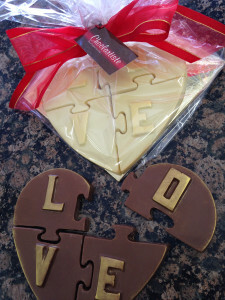 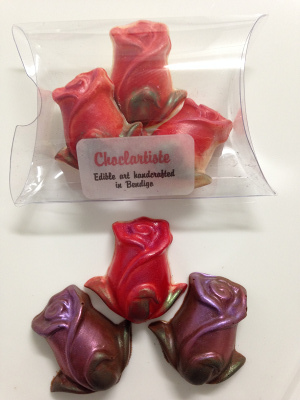 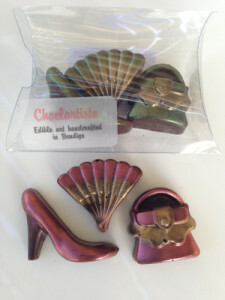 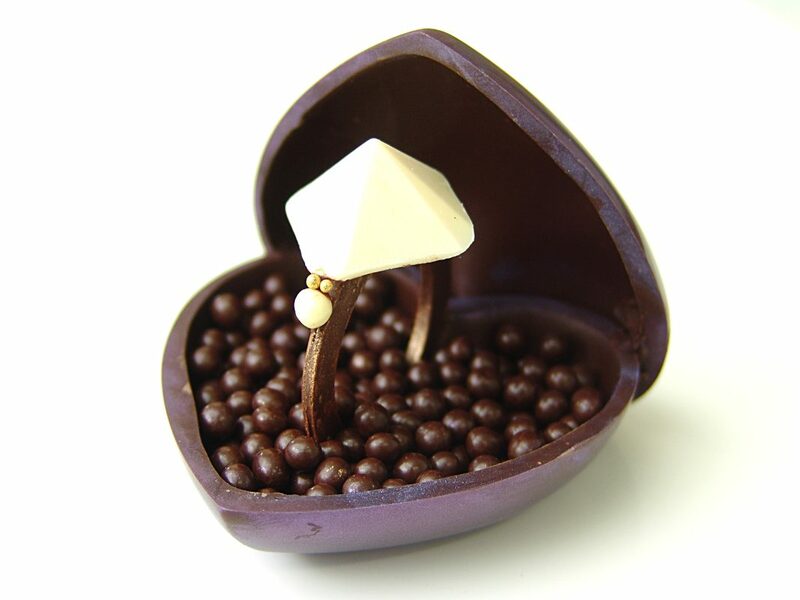 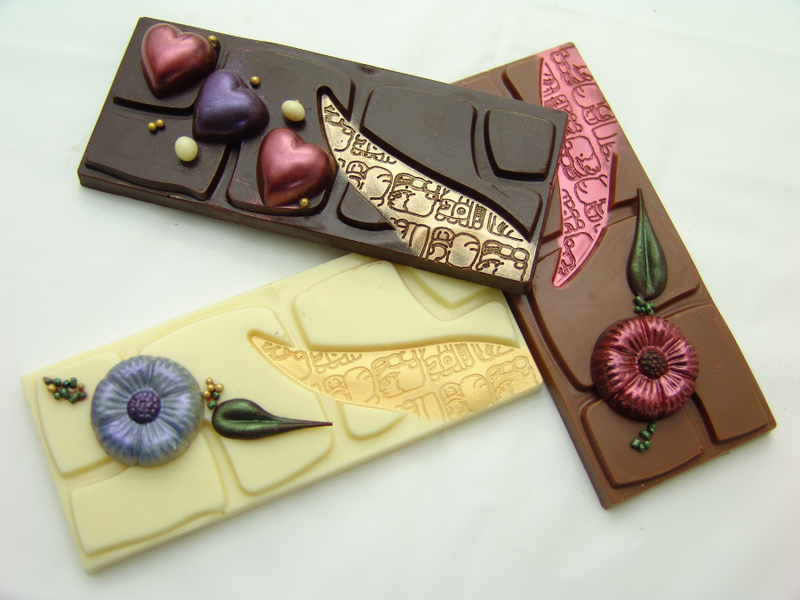 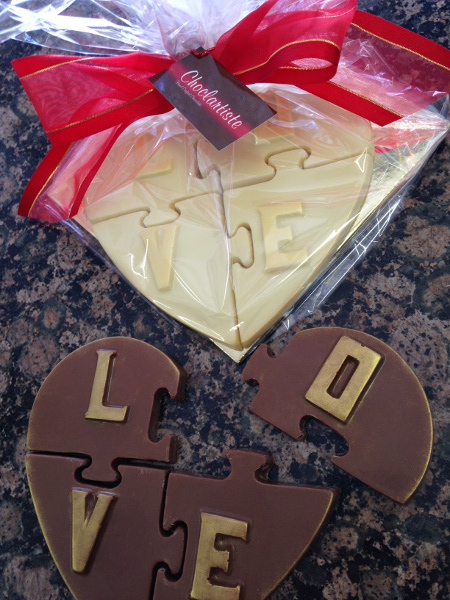 We use Belgian Callebaut chocolate to create unique pieces of edible art hand crafted on site in Bendigo. 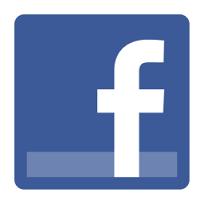 10 McDowalls Road, Bendigo East. Solid 2 -Dimensional roses are available in white chocolate with pearl, pink dusting or red finish. 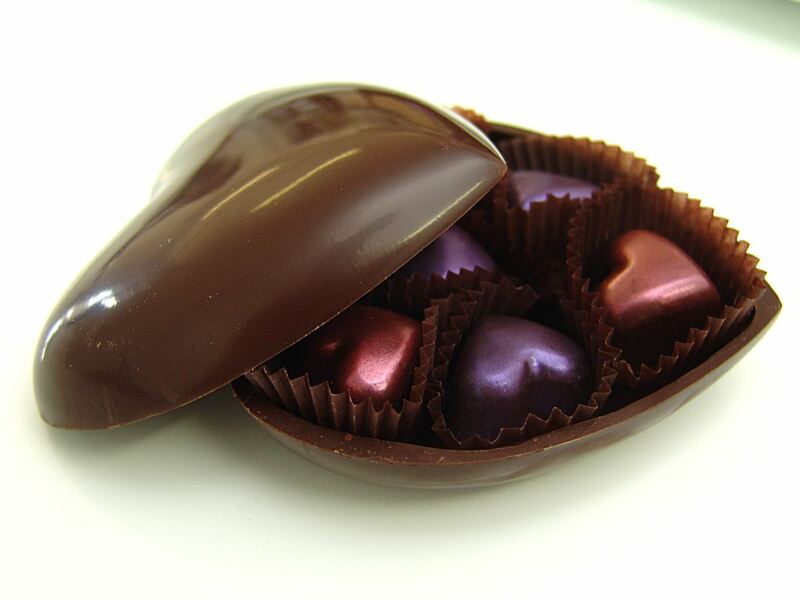 Both milk and dark chocolate options are available with pink/purple dusting. 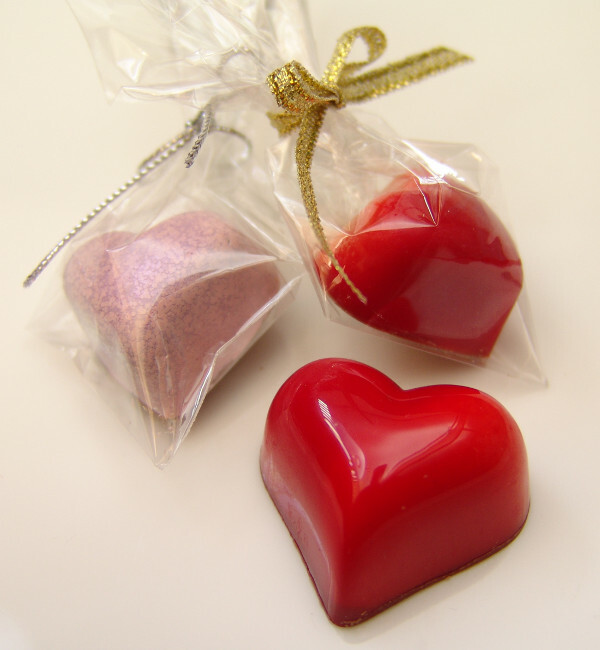 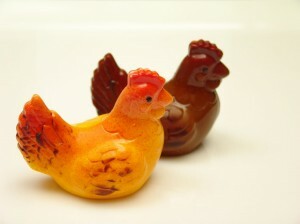 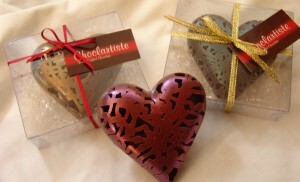 Each clear pillow package weighs approximately 30 g.
Coloured Hens available in white, milk or dark Belgian chocolate. Packed in a tagged clear bag.